Wausau Homes is a custom, new home construction company founded and based in Wausau, WI. Wausau Homes has a unique customer acquisition process that requires for a funnel like approach to turning people considered contacts and transitioning them to leads and eventually customers. This process requires several checks and balances, including scoring algorithms that allow builders to qualify leads and eventually take them through the process of identifying the type of home they want, providing them with a firm price and signing them to a contract that begins the process of home construction. A custom SugarCRM based solution was created for Wausau Homes. Plego took a base CRM platform and implemented the Wausau five step process. Overriding basic SugarCRM processes that are available by default, Plego redefined the different stages of customer acquisition as per the Wausau process. The following were the different stages a potential buyer went from a contact to actual customer. 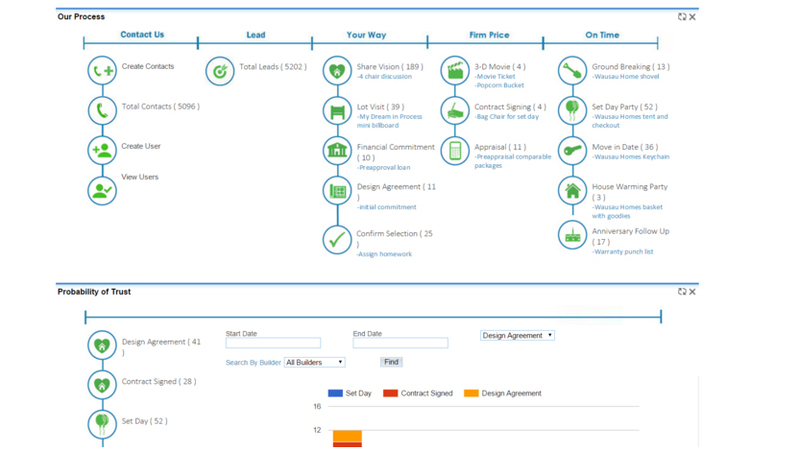 We redefined the most basic level of the customer acquisition process the Contact stage. Per the Wausau process, a contact can be anyone that has reached out to Wausau. This could be via the website, a set day party, housewarming parties, and other Wausau sponsored events. 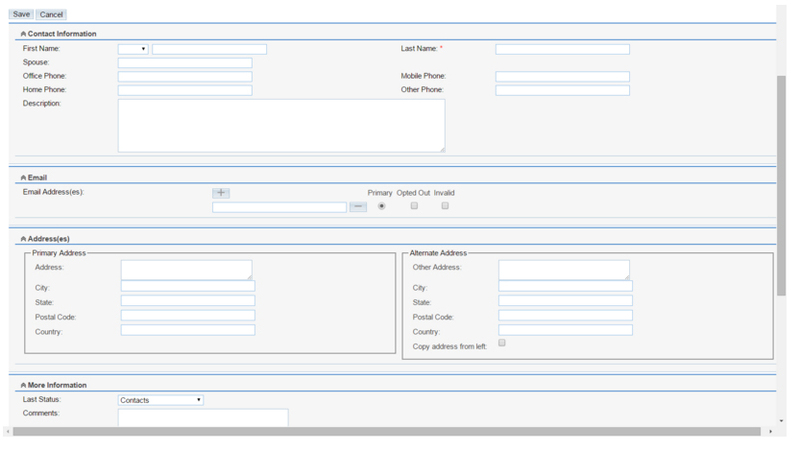 This is the stage where basic contact information is collected. As soon as the contact expresses interest in building a home, they are then qualified as Leads. Based on the factors above, the system assigns the lead a score based on a custom algorithm determined by Wausau. If the lead meets the score criteria, the system recommends the lead proceeding to the “Your Way” stage of the process. 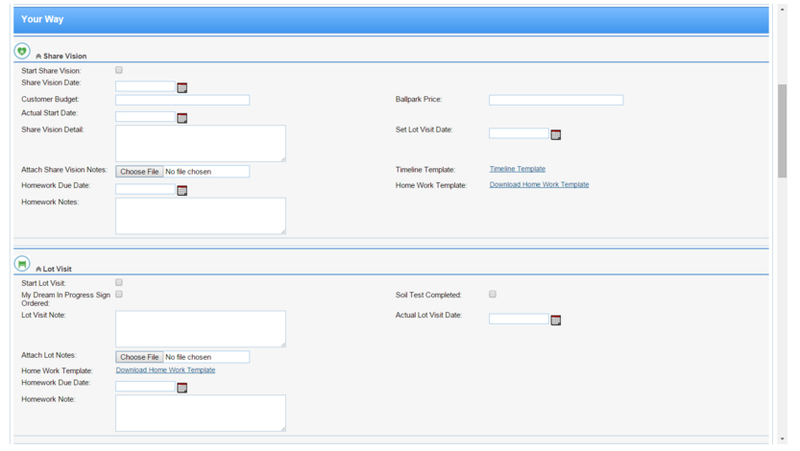 This stage collects information about the user’s home preferences and sets auto determined dates for certain stages to be met. 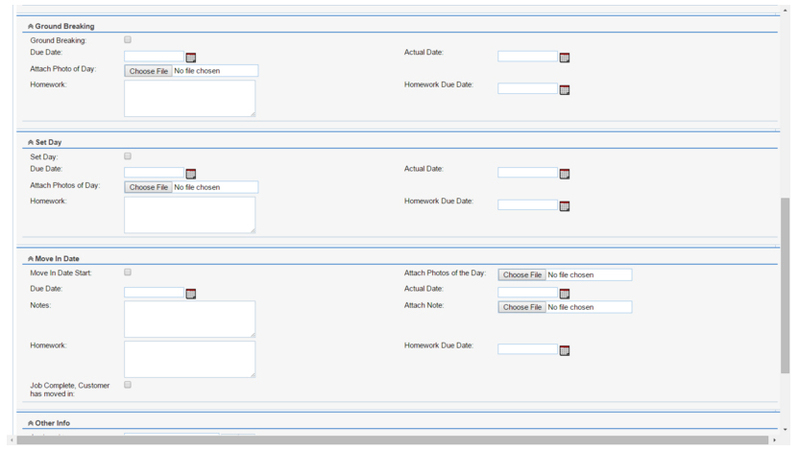 These dates manage the process to allow the customer to move into their home by their desired set date. After collecting the Your Way information, the builder is required to provide the customer with a firm price and get the customer to agree to a building contract. This section contains all the documentation necessary to complete the firm price and contract signing process. This stage manages the home delivery process and allows the builder to stay on track to complete by the desired move in date. 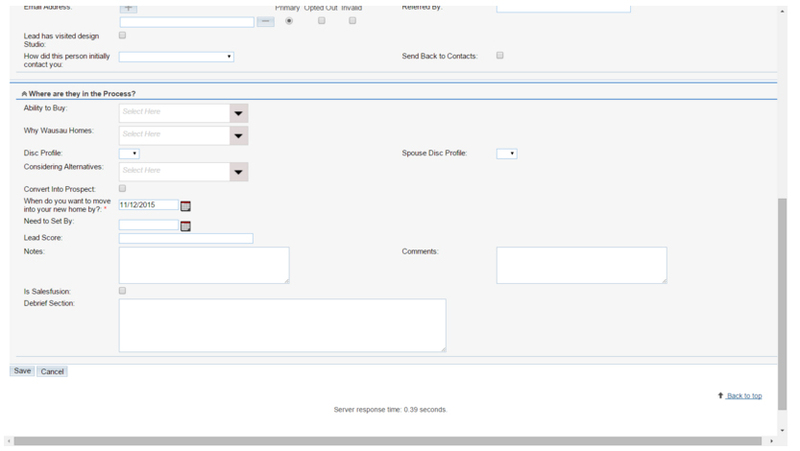 The dashboard is a key component of the application that summarizes all the information in the CRM with a series of charts and diagrams. 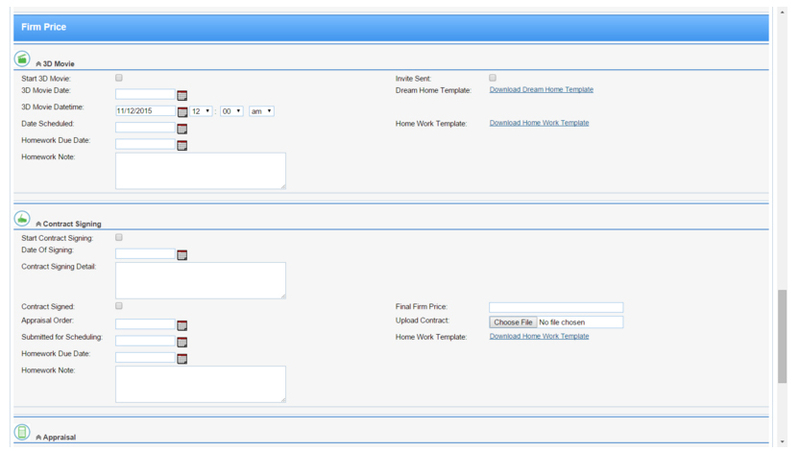 These tools allow one click access to customers in any stage of the process.